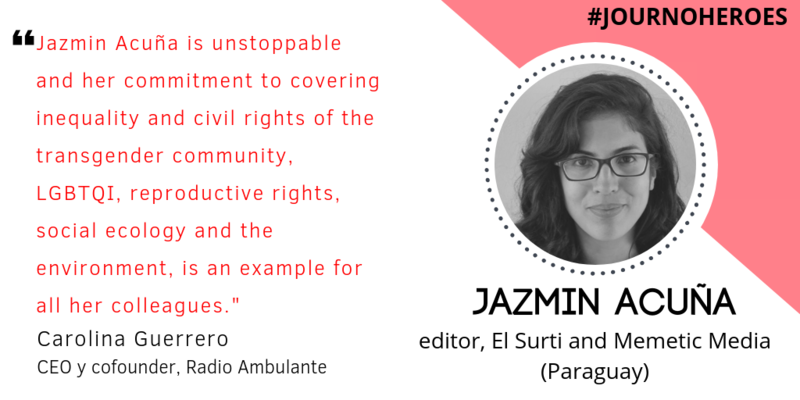 The Knight Center for Journalism in the Americas is participating in the Women Journo Heroes campaign led by the International Women’s Media Foundation (IWMF). 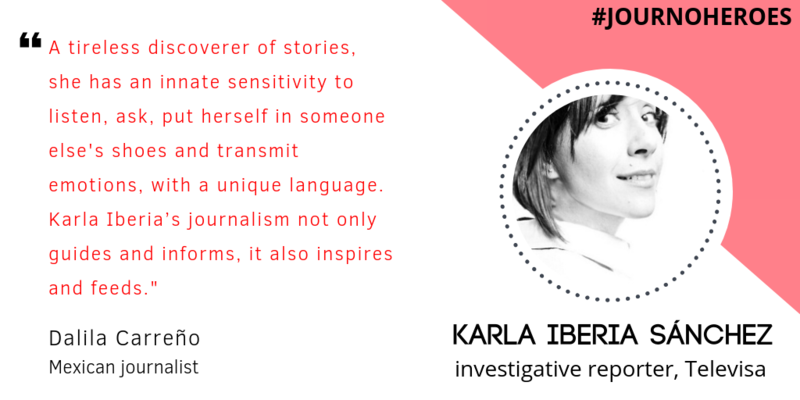 For the month of October, IWMF is asking the community to help in honoring women journalists around the world by sharing photos of stories of courageous women journalists via Twitter, Facebook, Instagram and other platforms. 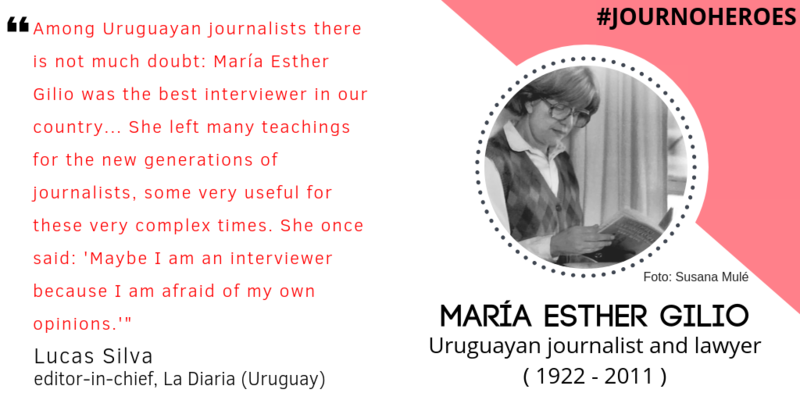 To highlight the role of women journalists in Latin America, the Knight Center is asking journalists to tell us about a woman journalist in the region they admire. 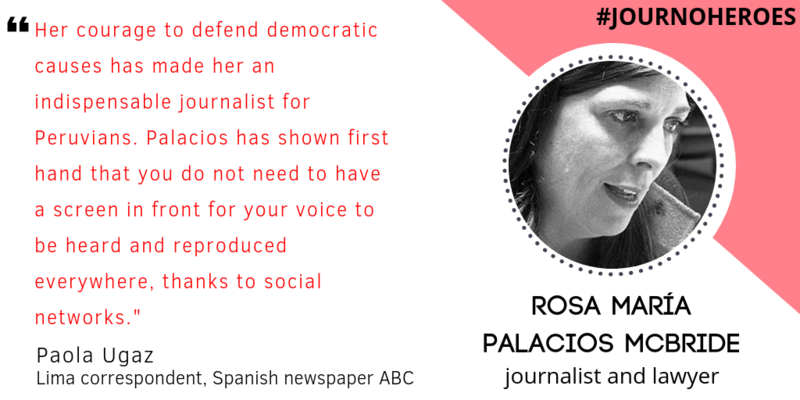 We will be sharing these stories on our blog and via social media all month, adding new journalists daily. 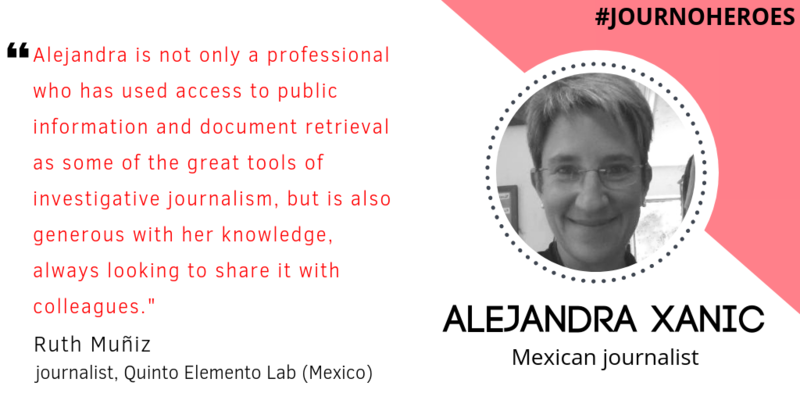 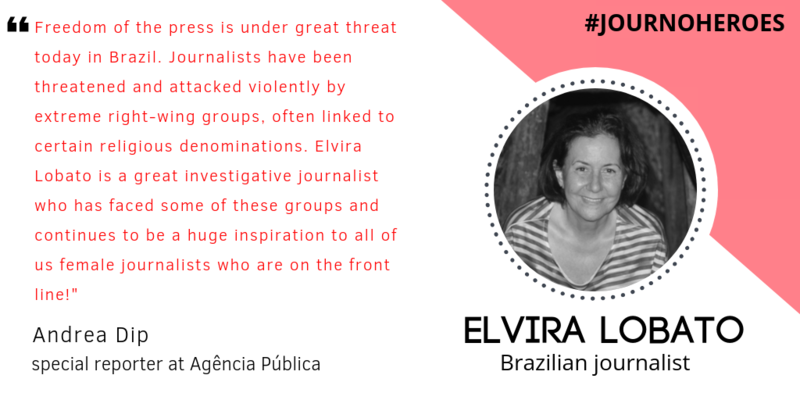 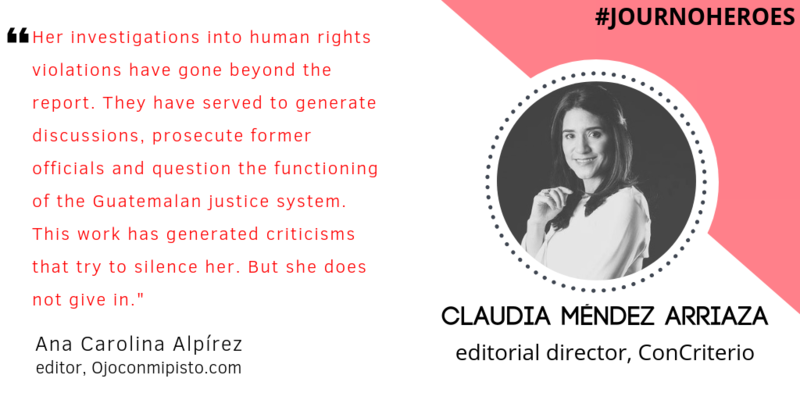 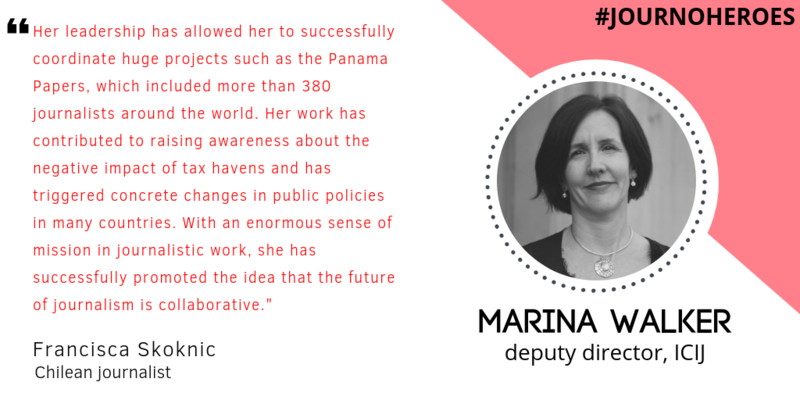 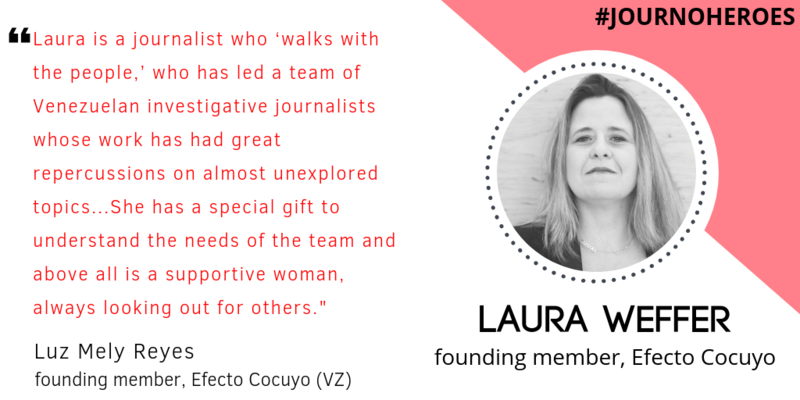 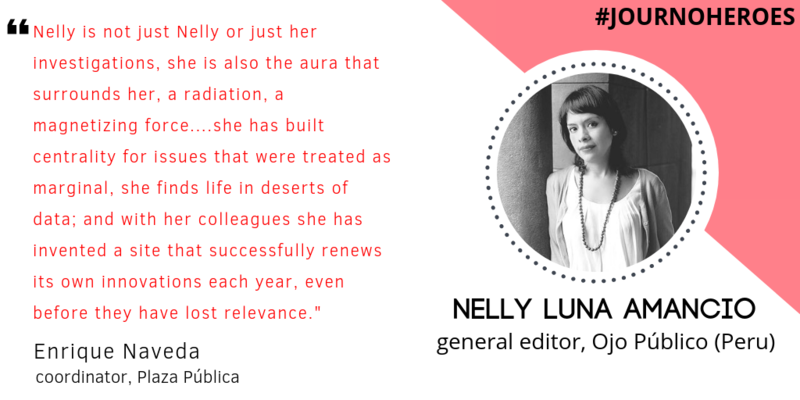 Please join us in recognizing your heroes by using the hashtag #JournoHeroes on social media, and read here about women journalists whose courage, dedication and ambition are inspiration for media workers in Latin America and beyond. 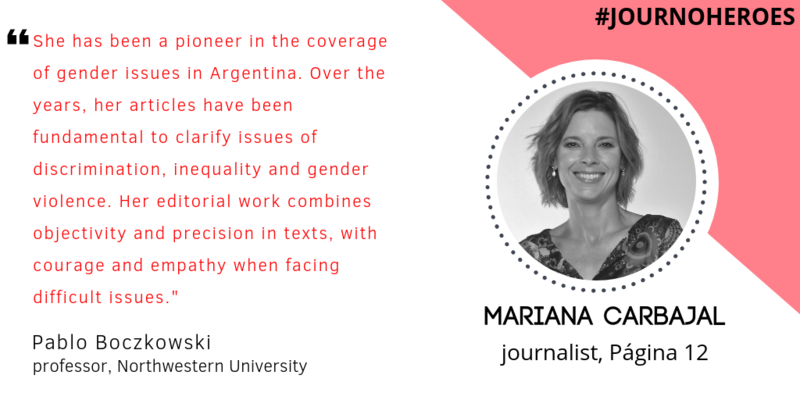 Additionally, you can click here to view the women journalists who were recognized by members of the Latin American journalism community last year.